Pot Ledom is Top Model Spelled Backwards. It was in high school when I found myself very hooked with the Tyra Banks Show–it talks about encouraging young girls like me; loving your own look, your skin, your race; knowing to respect others while standing your own grounds, etc. The host, the Tyra Banks, is so sincere and inspiring. I mean, you would love to hang out with her every night–it’s like every word she says, she mean it from the heart and you would feel that. Later on I found out that she’s not only managing a talk show, but, a something I would still want to be in when I grow up Model Search as well! Ain’t that great?! 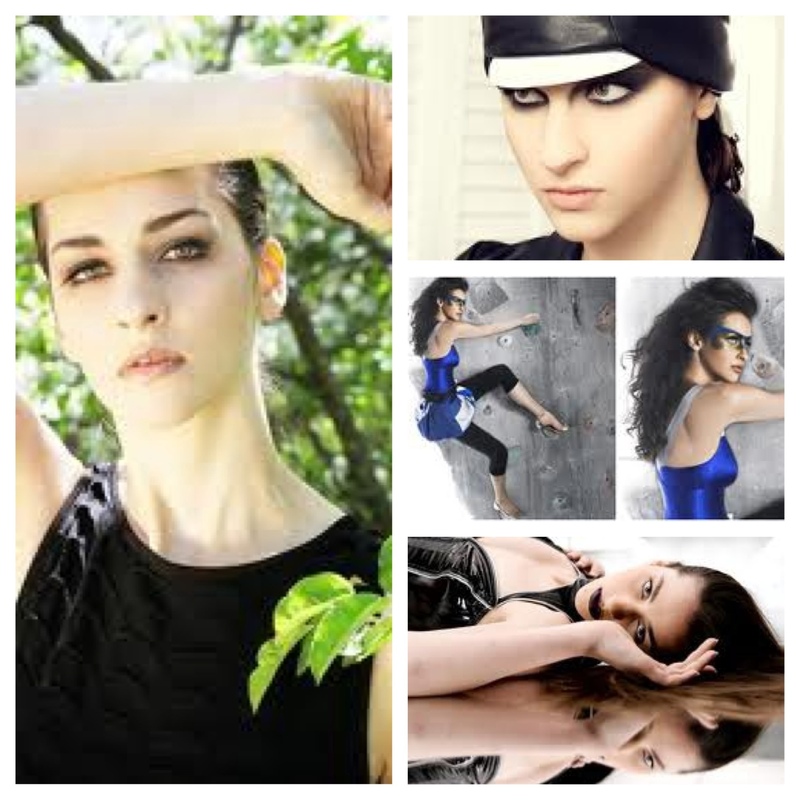 It was from the show America’s Next Top Model ANTM that birthed my dreams of becoming a Model. I wanted to wear all those clothes and shoes fashion people use in the runways and all. I wanted to be photographed by Nigel Barker (noted fashion photographer); be on the cover of, with six-page spread, Seventeen Magazine or Vogue Italia; be one of the models in a Anna Sui Fashion Show (just because her collection requires a lot of bubbly-ness and such girly confidence which I think I could have); and finally, only be mentored by Tyra would be a great privilege. Ang cool lang! While I’m not yet reaching 1/4s of my Model dream, I just suit myself in choosing fashion inspirations with ANTM contestants. I have listed a few favorites from all the series. This girl is so gorgeous when she’s in front of the camera. She changes her ordinary to beautiful. I dunno. There’s something in me that really admires her. You might also notice, she looks like Scarlett Johansson. Totally gorge! I always loved girls in the competition with strong weird faces–my dear Heather is part of that. Her eyes is my favorite asset, it looks like it’s out for kill! Oddly gorgeous and fab! Patently Gauche, André Leontalley (I dunno if I got his name spelled correctly) describe her as that. And yes she is. She is very awkward yet her being that translates a highly fashion editorial photograph. This girl is a 6footer; while others saw that as grotesque-ish, that made a strong asset and made her won America’s Next Top Model Cycle I forgot. Who says we can’t make our own differences rock? ;) And oh, she resembles Alice, a Cycle winner, of Australia’s Next Top Model too. Wicked cool! Now, this girl knows how to work her body angles that could make for a high-end editorial. That happens when someone strut her ice-skating edge over other contestants. Although, her face is not that strong as her body, she worked hard to exude the right flow of movements for everyone to see. Her foxy eyes and Brookeshield-ish brows, those jaws and bones–equates to a highly editorial photograph! She is just stunning under the lenses! 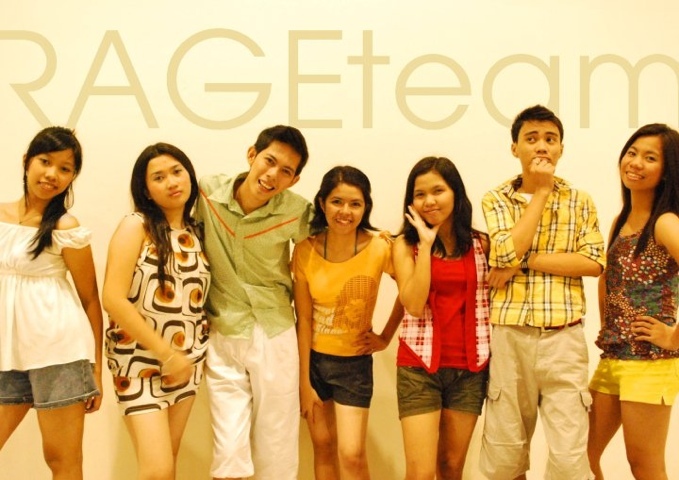 Very Vogue Italia lang ang peg! I love her face; how it can be so bold and strong or so innocent and soft. Work of art! She is my ultimate favorite!!! At first, I’m confused if I should pick Raina over her, but, this girl’s quirkiness won my heart. You see, this girl is so weird, you’ll love her! She looks very naive yet worldly-wise and all that. Everything about her face, especially her eyes, her posture and composure–all of those work when she’s in front of the camera. She is just very different. Her difference made her adorable. I also love that she looks so humble, down-to-earth and mysterious all at the same time. You might wanna love this video of hers. LSS lang! Mother, sister, brother….Underwater! Don’t give up on your dreams and someday you’ll be able to reach them somehow! 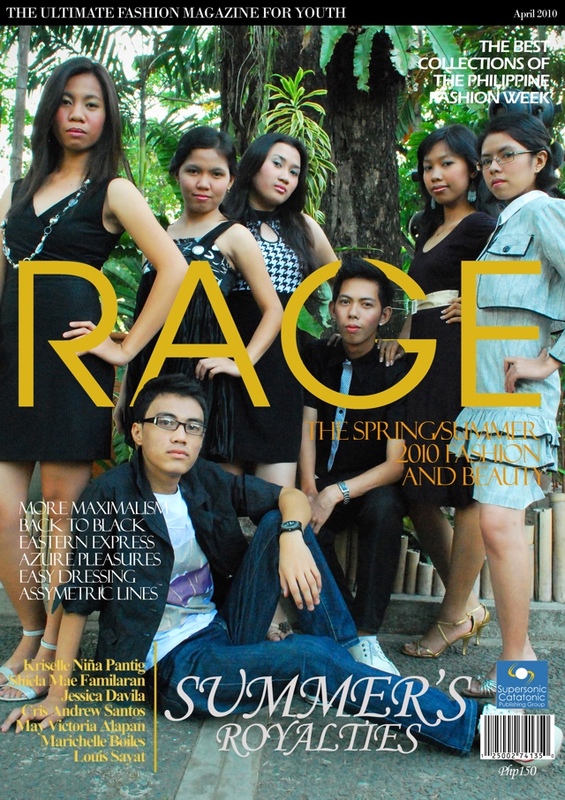 Me (with my awesome blockmates) on Rage Magazine–our Corporate Communication project back at College!